The birth place for thousands of ancient warriors, Xi’an is a large city in China. Xi’an is known as “the eternal city” and was once the capital of the ancient Chinese dynasties. This city of 8.6 million residents has a history that spans 3000 years. Attractions include the Terracotta Army museum, Xi’an City Walls and the Great Mosque. Prepare for a trip to a historical China, because cheap flights to Xi’an are now available for a limited period of time! Xi’an is home to Xi'an Xianyang International Airport (XIY), located just 29 minutes from the city centre. These 8000 ancient warriors were buried for more than 2000 years – but never forgotten. 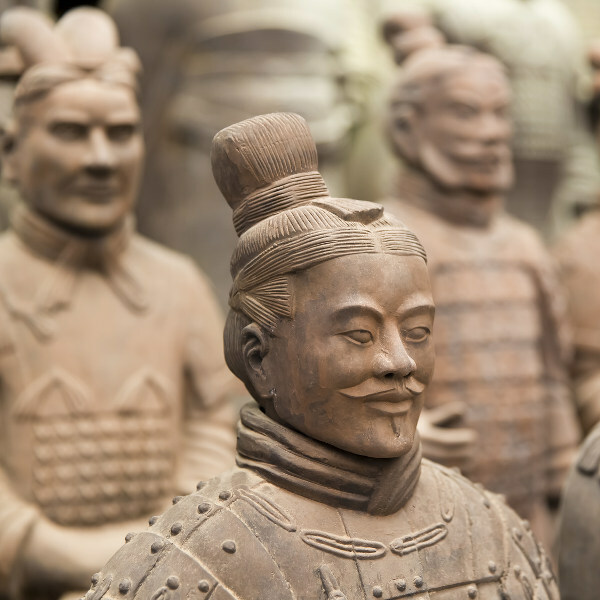 As the 8th World Wonder, no trip to Xi'an is complete without visiting the Terracotta Museum. One of the most well-known street markets in all of China – Muslim Street fills not only your senses, but your belly too! Try some local favourites like chuan’r (meat kebabs). 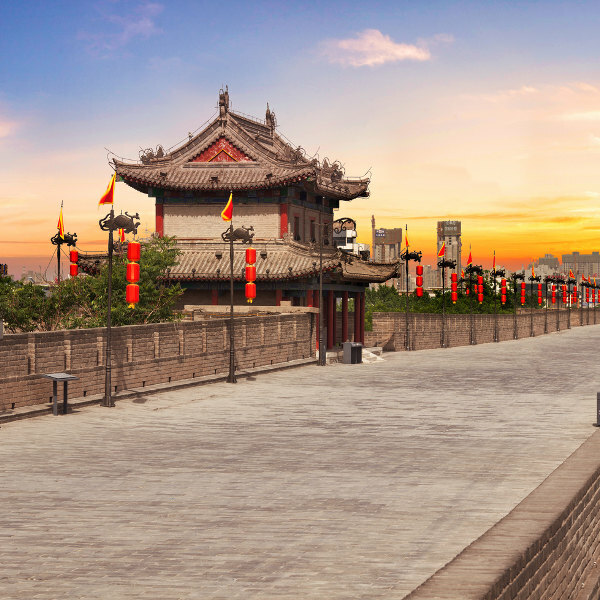 Built to protect the city in ancient China, the wall is 14km long and truly magnificent. Visit at night for breath-taking views of the city. Xi’an experiences four distinct seasons, so it is easy for you to decide when to visit, depending on what you plan to do on your trip. Summer is peak tourist season (June to August), but during this time it gets uncomfortably hot (up to 31 degrees Celsius) and there are long queues to famous attractions such as the Terracotta Army museum and Grand Mosque. During winter it also gets crowded as the Chinese New Year (February) brings in lots of tourists to the city. It tends to get foggy and the air is dry. The best time to visit would be over spring (March to May) or autumn (September to November). There are beautiful cherry blossoms to see over the spring period, and the weather is very pleasant in both seasons. The “eternal city” of China, Xi’an holds the stories of a past never forgotten. This city was home to royalty, aristocrats and some of the bravest warriors in all of Asia. Now a big tourist attraction, you will easily find yourself drawn to visiting Xi’an. Just outside the city is where you will find the Terracotta Army museum. Here you will find life-size salutations to the warriors that bravely gave their lives for their emperors. Along with the ceramic warriors you will also find replicas of animals, carriages and weapons. The great City Wall is certainly an attraction at which to marvel. At the time of its completion, it was the most advanced wall the world had seen, and is now still the most complete ancient wall that has stood the test of time. And of course, no city is complete without a taste of adventure. 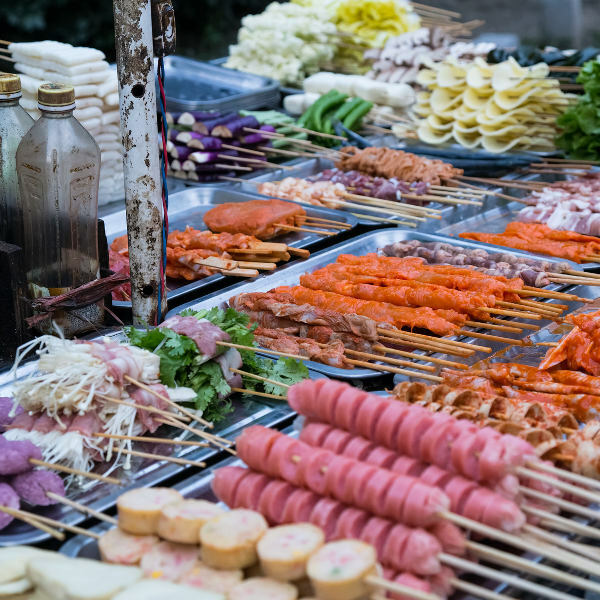 The locals of Xi’an call themselves culinary experts for a reason, and with the flavours and delicious bites that can be found in Muslim Street, you will soon think the same. Compare several airlines and book your cheap flights to Xi'an online at Travelstart! Xi’an is a safe city with many beautiful attractions to visit. As with most big cities though, it is important to be aware of your surroundings and not walk around with all of your expensive possessions on display. As for travelling around the city by taxi, it is best to decide on a price ahead of time, as there have been reports of taxi drivers trying to make extra money off tourists.